After winning the Super Bowl the season before, the 1993 Dallas Cowboys came out and once again dominated the NFL. The number two scoring offense in the league was led by Emmitt Smith (1,486 rushing yards, nine touchdowns), Michael Irvin (88 receptions, 1,330 yards, seven TDs) and Troy Aikman (QB rating of 99.0). Dallas also possessed a very good defense, allowing just 14.3 points per game, second-lowest in the NFL. After winning the NFC East with a record of 12-4, the Cowboys defeated the Green Bay Packers and San Francisco 49ers to earn a trip to Super Bowl XXVIII. There, they beat the Buffalo Bills, 30-13, to win their second straight Super Bowl title. 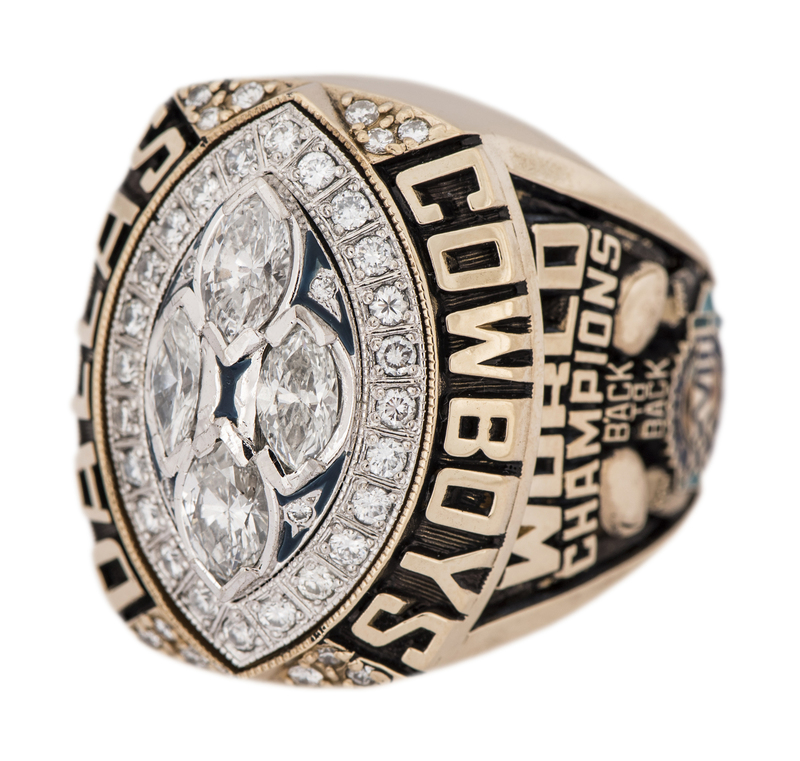 Offered here is a 1993 Dallas Cowboys Super Bowl XXVIII championship ring that was presented to Dixon Edwards, a linebacker who played in all 16 games (with 15 starts) for the Cowboys that season. 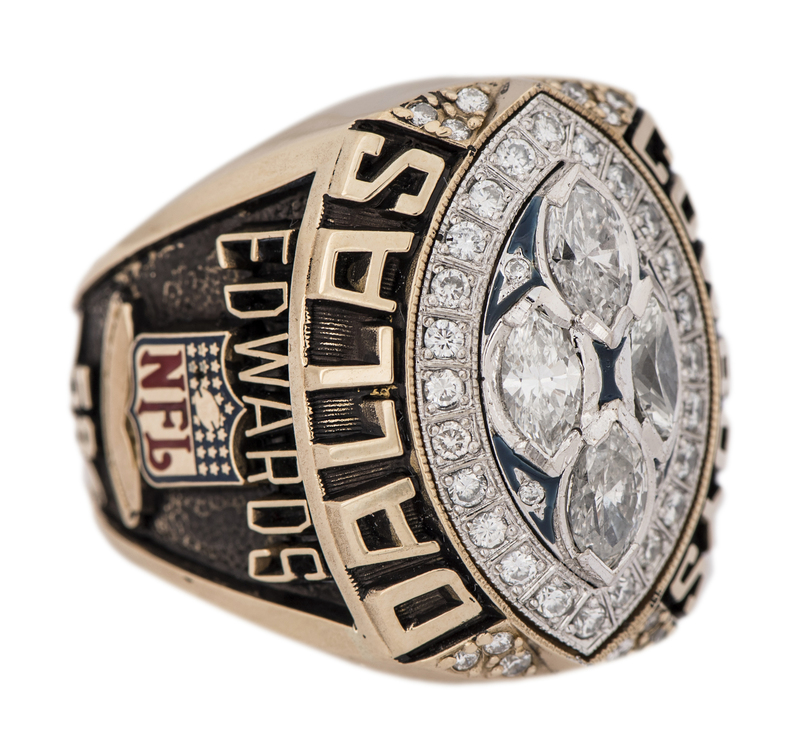 Four large diamonds represent the Super Bowl championship trophies the franchise has hoisted (with this title being the fourth in team history) and they are surrounded by diamonds that make up the shape of a football. 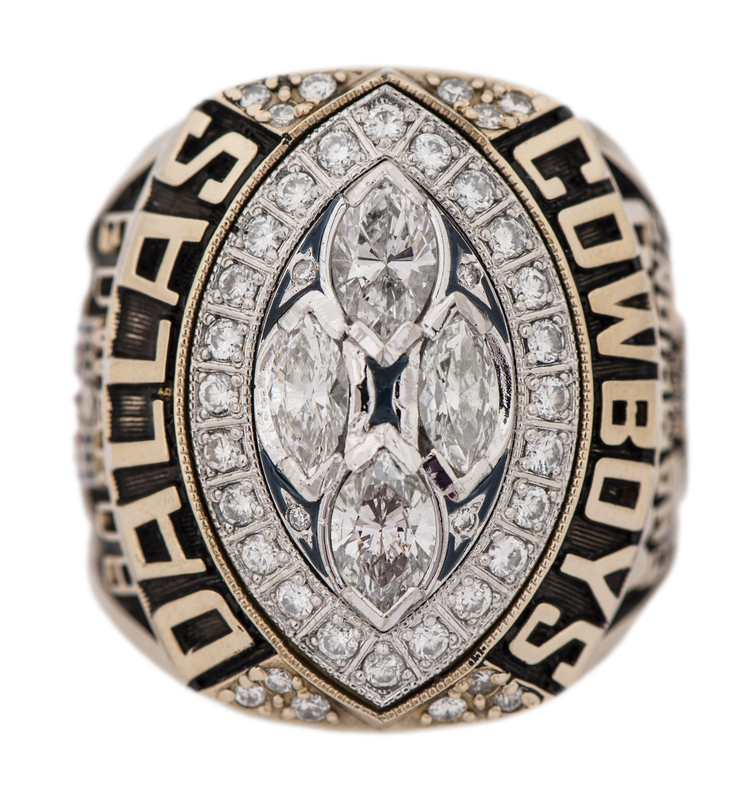 Around the outer perimeter is “DALLAS COWBOYS” in relief work, with additional diamonds. 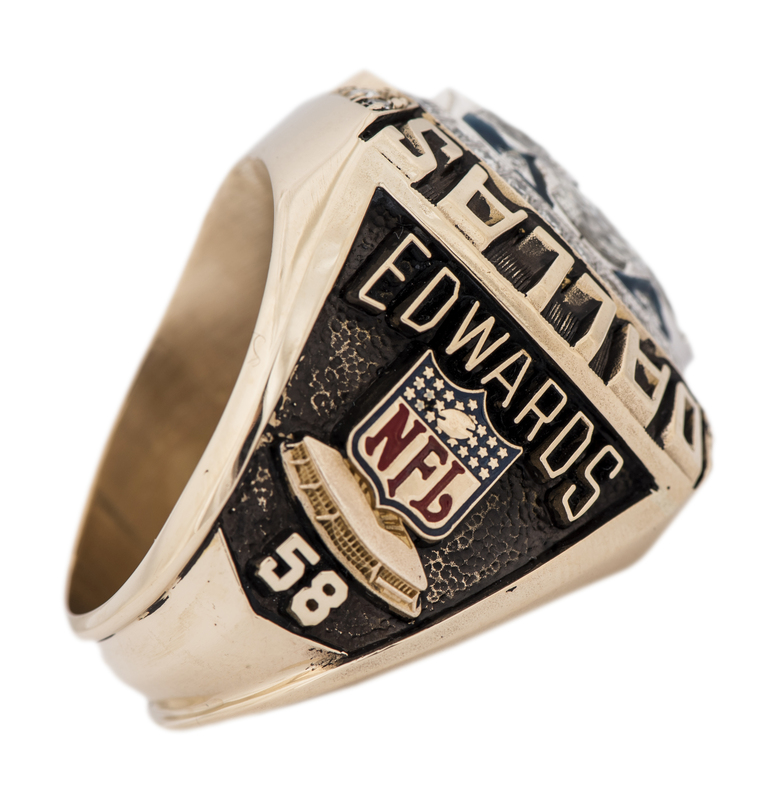 A wonderfully-done enamel NFL logo adorns one side, along with the name “EDWARDS”, his number “58” and an image of the team’s stadium. “WORLD CHAMPIONS BACK TO BACK” reads on the opposite side, along with two Lombardi Trophies and the Super Bowl XXVIII logo. This 10K gold ring – which includes a LOA from Dixon Edwards – weighs approximately 56.3 grams and is an approximate size 13 ½. 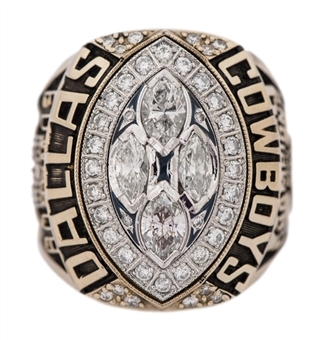 Another 1993 Cowboys' championship ring recently sold for $36,000 and this ring is in excellent condition and one of the finest 1993 Dallas Cowboys' rings to come up for sale.